Краткое описание: Worms is a turn-based strategy game. 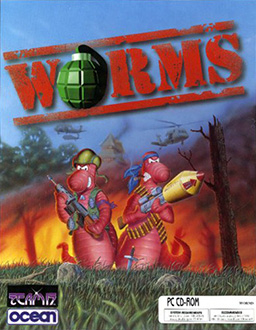 It features up to 4 teams of 4 worms, aiming to destroy the others on a generated terrain. Each worm has 100 hit points, and dies when his hit points fall to 0. Upon death, a worm explodes, causing damage to everyone around. 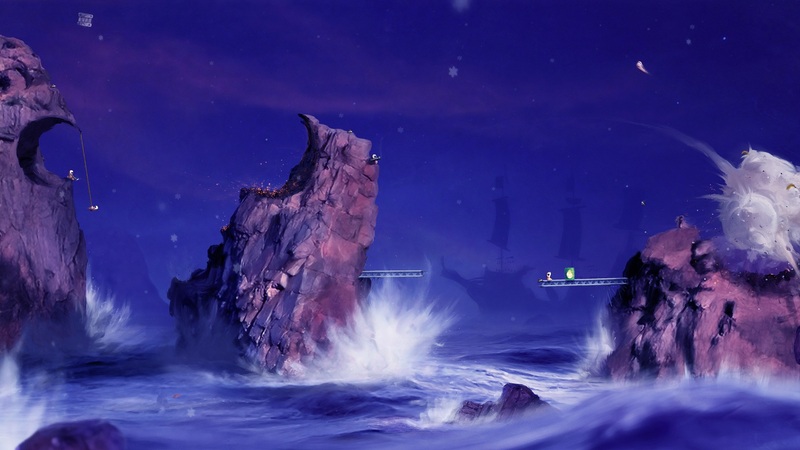 There are 10 styles of terrain, ranging from forests and deserts to Candy land and the moon (complete with affected gravity). Shots leave craters in the ground, and complex tunnels can be formed. 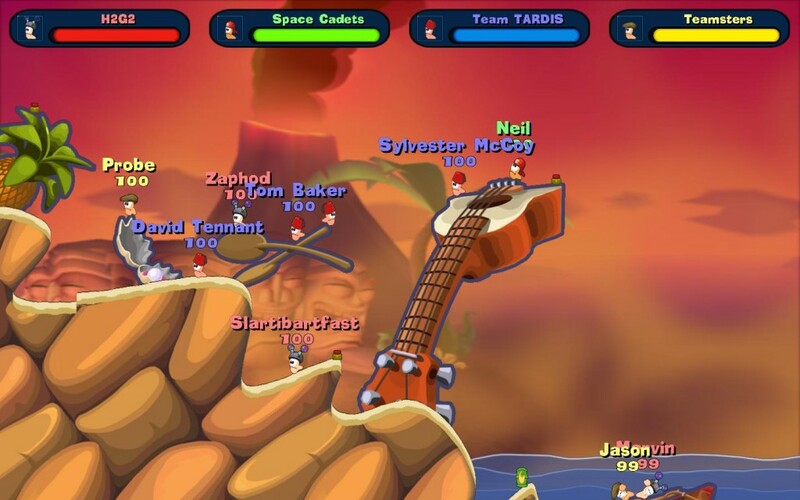 Worms is a turn-based strategy game. It features up to 4 teams of 4 worms, aiming to destroy the others on a generated terrain. Each worm has 100 hit points, and dies when his hit points fall to 0. Upon death, a worm explodes, causing damage to everyone around.